Since Apple released iPhone and iPad, these devices have become more popular among users. However, such great devices require a lot of work when it comes to maintaining them. This is because iPhone and iPad need a lot of attention to make sure it stays working for a long time and runs smoothly. iTunes Error 1671 usually happens while your are updating or restoring iOS devices with iTunes. Some of the causes of this error may be the iOS of your device is outdated or you’re having an outdated version of iTunes. Other reasons include that you are using outdated version of an anti-virus tool or the anti-virus has been infected by viruses. Good news is, iTunes error 1671 can be fixed. In this article, we will describe what this iTunes error code means and how it can be fixed. Apple says that third-party security software can interrupt the connection between the Apple Server or the Apple device and iTunes. Often an error with the number 1671 is displayed on your computer screen when you want to sync, backup, update, or restore your device through iTunes, connecting to the Apple servers. This error can sometimes occur during a software update via iTunes. Updates and restores can resolve this bug, but it can still happen sometimes. The error can cause software problems and occasionally hardware problems if the installed software is not compatible with the device or if the device has an old operating system installed. Another reason may be a too slow USB port that interferes with the connection. However, this bug can be fixed quickly by updating iTunes to the latest version to make sure that iTunes is compatible with the iOS version. You should also connect your iPhone/iPad to a high-speed USB port, preferably USB 3.0 or higher. The fastest method, however, is a force reset that can quickly and easily fix many problems while not damaging your iOS device. Just hold the home button and the power button together on your iPhone/iPad until the Apple Logo appears. If the reset doesn’t work, you can also try to restore your system, which will not take more than an hour, but make sure you back up before so you can retrieve all your data back later. Beesides the force start and device restoring mentioned above, here we also give you several solutions to fix the iTunes error 1671 while you connecting your iPhone or iPad. Attention: Before taking further move, you should back up your iPhone or iPad by using iTunes or iCloud to avoid data loss, or you can use Gihosoft iPhone Data Recovery to extract important data from your iOS device. This tool also help you esaily get back your data like messages, contacts, photos, and so forth, even if you lost data from iPhone without backup. If your iTunes software is not up to date, then this could be the reason why you receive the iTunes error code 1671. So it is better to update your iTunes by below steps. You must first update your anti-virus software and perform a full system scan to make sure you do not have a virus. Then follow the onscreen instrucion to update your iTunes software. If you receive error while checking for update, then uninstall the iTunes and download the latest one from Apple website. To fix the 1671 error, just follow the step-by-step instructions below. First of all, you need to disable the antivirus software on your PC, if you have one to avoid any interferance from it. Now search for the “Host” file on your Windows PC or Mac. For Windows, The “hosts” file would be located at My Computer > (C:) > Windows > System 32 > drivers > etc. Then drag the file to your desktop. If you are using a Mac, click Go, and then go to Folders. 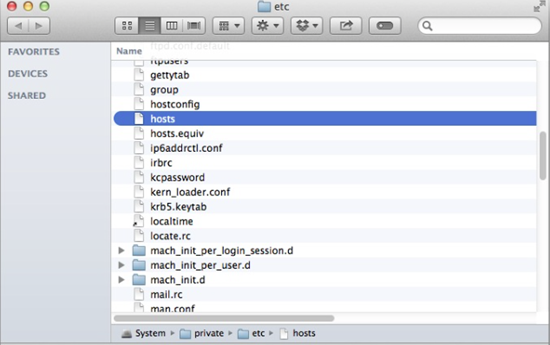 Enter private/etc/ hosts in the field. Then press Go, and it will pop up a window with the “Hosts” file. Also drag it to your desktop. Now open iTunes and continue with the restoring. After restoring,put the “hosts” file back to the original folder it stayed. This method probably is a little complicated since it involves some techniques, so if you try on this solution, please follow the method step by step to avoid any unnecessary change of damaging the software or system. 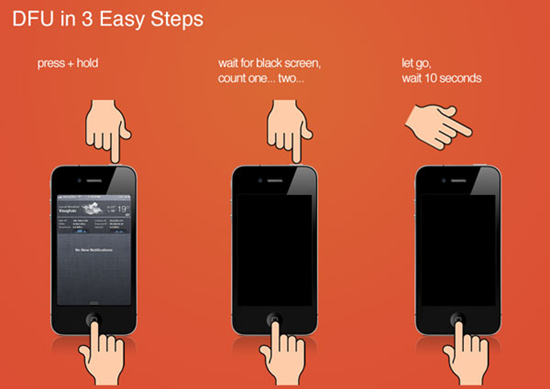 Another method that can fix almost any problem occuring on iOS device is the DFU mode. Here DFU mode basically is for fixing iTunes error while you have a jailbroken iPhone. But before you try on this, you first should try to force start your iOS device first; if that’s not help, then follow the steps below. Step 1. Connect Your iPhone or iPad to iTunes. Step 3. After iTunes will detect your device in recovery mode, then click OK to restoring device. Step 4. iTunes will then automatically guide you through the restoring process. 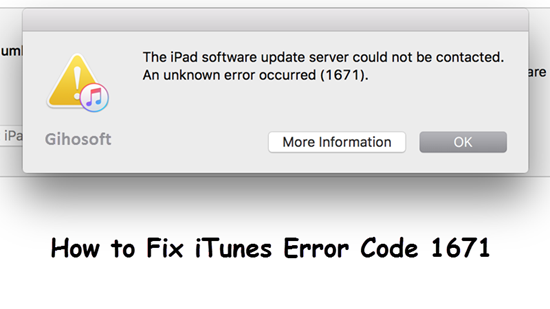 As a result, the iTunes error code 1671 would stop appearing and let things work normally. These are the few techniques that can fix the iPad or iPhone error 1671. If your device also has this error, you can quickly fix it using these easy steps. So whenever you are stuck with error 1671 upon upgrading or restoring, you can simply refer to this guide and your phone will return to its normal state. If you have any other question or suggestion, welcome to contact us by leaving a message below. How to Successfully Unlock a Disabled iPhone Without iTunes and Data Loss?